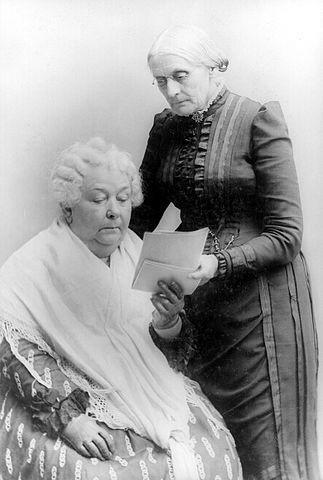 Elizabeth Cady Stanton, seated, with Susan B. Anthony. On January 20 1869, Elizabeth Cady Stanton became the first women to testify before Congress. Her vision of women’s rights established a broader political philosophy of social justice beyond women’s suffrage that continues to inspire women’s activism today. UMBC professor Dr. Kate Drabinski, who also serves at the Director of the “Women Involved in Learning and Leadership” program, reflects on feminist activism, then and now. Thirty-one years ago President Reagan Signed the law solidifying Martin Luther King, Jr. Day as a Federal holiday and many people honor his memory with a day of community service. When President Lyndon B. Johnson gave the commencement speech at the University of Michigan in 1964 challenging Americans to build a "Great Society," the numerous policies and domestic reforms that would result, such as the Voting Rights Act and the creation of Medicare were unformed. MHC Board President Dr. Lenneal Henderson, Distinguished Professor at the School of Public and International Affairs at the University of Baltimore, reflects on the 50 year legacy of "Great Society" reforms and their future. Meaning of Service is a national reading and discussion series that explores the personal impact of serving, giving, and leading in your community and is available free of charge to any Maryland AmeriCorps program or other volunteer service organization. The Maryland Humanities Council’s Practicing Democracy Program uses the humanities to spur respectful civic dialogue among Marylanders with divergent viewpoints. Recently Stevenson University, with support from the Maryland Bible Society and the Maryland Humanities Council, opened “Hallowed Beauty” an exhibition on, lecture about, and bus tour of sacred texts in the region.